In partnership with United Learning’s Sports Ambassador programme, Rowan Preparatory School organised a very special U10 girls hockey workshop presented by GB and England hockey player Alex Danson at Rowan’s sports ground on Saturday 17 October 2015. Salford City Academy are celebrating this week after Ofsted judged them to have improved enough to garner a ‘Good’ rating. 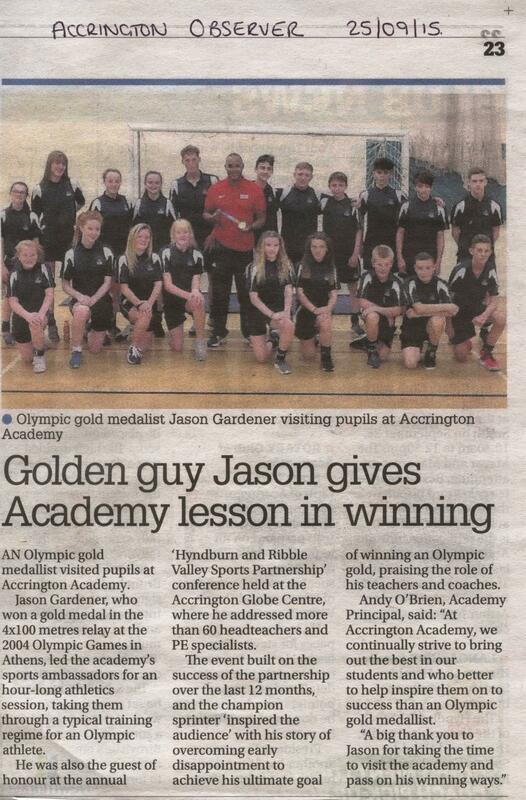 On Friday 16th October, Shoreham Academy welcomed United Learning Sports Ambassador, Jason Gardener, MBE. Mr Pulling, Director of Sport at the school, recalls his visit. Students and staff at The Hurlingham Academy were delighted to welcome London Mayor Boris Johnson through their doors to congratulate them on their GCSE success this summer. The architecture workshop at Rowan Preparatory School was booked through United Learning Enrichment Programme as an extra-curricular activity to enhance pupils’ existing studies in Engineering and Technology. Education Minister Sam Gyimah visited Northampton Academy to see the work being done to prepare school children for life in the business world. A chemistry laboratory has been gutted and refurbished as the first step of a major revamp of science facilities at Dunottar School, Reigate.